Jiří and I recently took a trip to the city of Kutná Hora, which is about 52 miles (83.7 km) southeast of Prague. It’s an easy day trip from the capital, making Kutná Hora a popular tourist destination. I was completely charmed by this place—it captures your imagination in a vivid way with the beautiful architecture, medieval winding streets and its wealth of history. The city is widely known for its famous Kostince (Bone Church), but there’s so much more to see and experience. 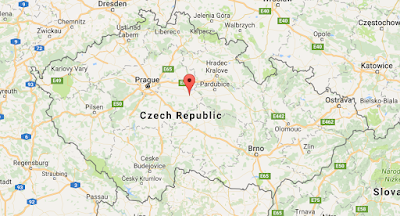 The city center became a UNESCO World Heritage site in 1995, and is the 4th largest UNESCO site in the Czech Republic. Just walking through the old city it soon becomes evident Kutná Hora was a place of wealth and importance. Kutná Hora, Czech for “Mining/Digging Mountain,” is named after the famous silver mines from its medieval past. Silver mining dates back to at least 985 when silver ore surface deposits were discovered by the Slavníks (one of the oldest Czech tribes, who competed with the Přemyslids for ruling Bohemia). The Slavníks used the silver ore to mint silver coins in Malín (now a part of Kutná Hora). 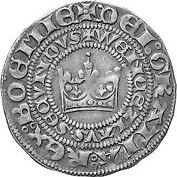 The coins were stamped with the words “Malin Civitas” and were minted between 985 and 995. Fast forward to the 1200s and we come to the big silver rush of the Kutná Hora area. Rich silver ore was found deposited on the surface of the land, causing a rush of new settlers (mostly Germans from Germanic areas and other nearby Czech mines) to move to the area. One resource suggests that in the beginning of the silver rush, the area was similar to those gold rush settlements in the U.S. In other words, Kutná Hora was a wild and chaotic place, with no law--it was where you could take a stab at making your fortune in silver. These medieval silver mines were the main supply of silver for Europe. Near the end of the 13th century, the area supplied one third of Europe’s silver production. Order came to the area when King Wenceslas II (1278-1305) issued a new royal mining code: the Ius Regale Montanorum. This was a legal document that set up all the administrative and technical terms and conditions needed for the operation of the silver mines. In addition, the city became the seat of the royal mint for the Czech lands. 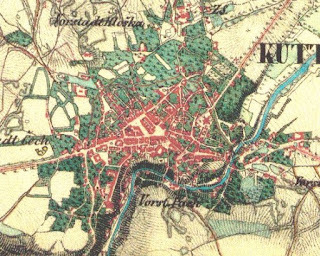 The new mining code brought law and order, affluence, culture, and society to the wild silver rush town of Kutná Hora. New Germanic settlers also brought advanced manufacturing methods and social systems, which made these people dominant in the region for years to come. 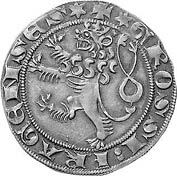 Master Italian minters were brought in to create a new coin, known as the Prague Groschen (groš), which was minted from 1300 until about 1547. The royal mint was set up in a small castle, named the Italian Court in honor of the Italian minters. 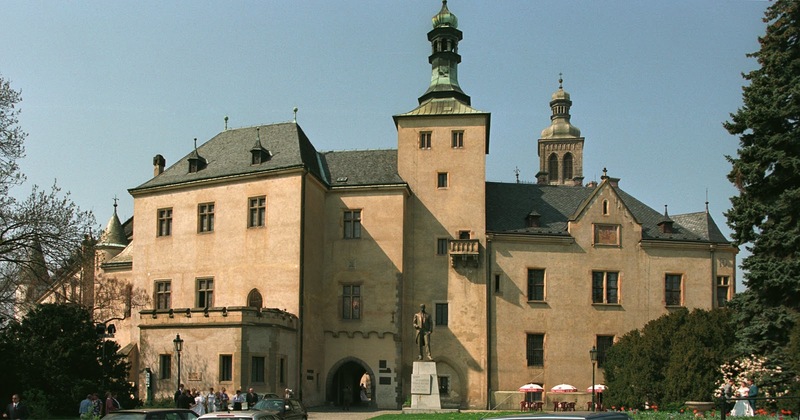 The formation of the royal mint made Kutná Hora the second most important city in the Czech lands only after Prague. In 1421, one of the first battles of the Hussite wars was fought in Kutná Hora. The battle was fought on December 21 & 22, 1421 between the troops of the Holy Roman Empire and the Hussites. 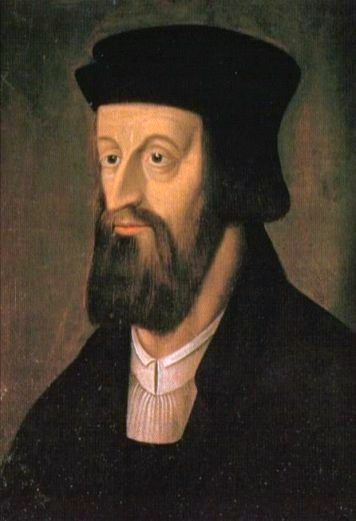 The Hussites were followers of Jan Hus, a Catholic priest who wanted to reform the church. Hus was burned at the stake by the Council of Constance on July 5, 1415. It was after his death that his followers began to revolt, as the Catholic monarchs tried to force the Hussites to rejoin the Catholic Church. During this time, Kutná Hora was also the scene of Hussite martyrdom. Those who were considered heretics were cast down mine shafts to their deaths. Bounties were paid for each heretic brought in. Just as modern mining towns experience economic ups and downs, so did Kutná Hora. 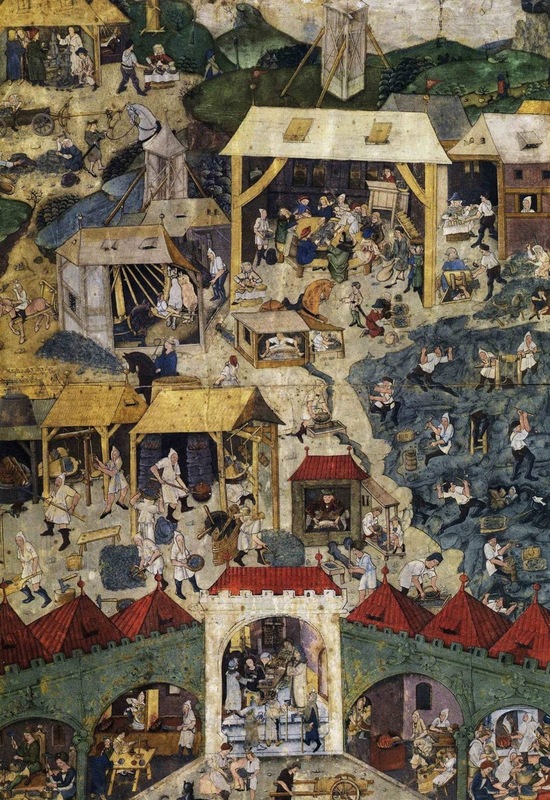 The city became embroiled in the Hussite religious wars, which brought tragedy and death to this prosperous area. Many of the German magistrates and miners were either killed or quickly left the area during the wars. This led to the closing of the mint and most of the mines. 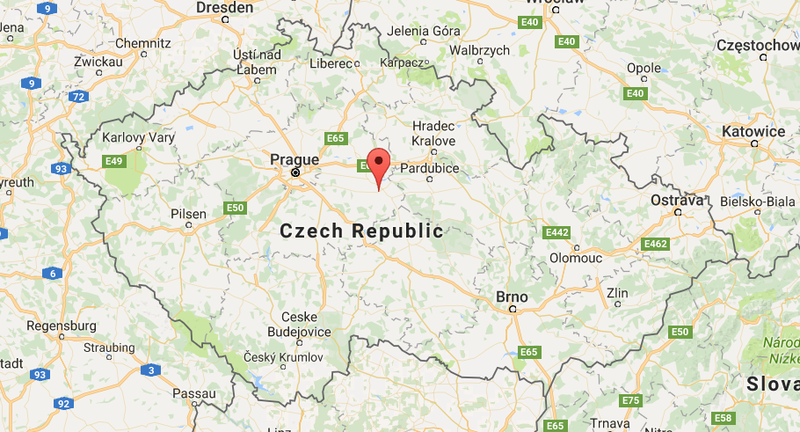 Czechs moved in and restored the mines, which lead to renewed prosperity. However, silver mining again declined by the early 15th century. The area’s decline continued into the 1600s when the mines eventually played out. At this point, Kutná Hora became a sleepy, backwater town until the coming of the railroad and modern industry in the late 1800s. Back to the present, you’ll see some evidence of the Kutná Hora’s past wealth when walking through the old city center. You’ll notice some very old buildings—most of these have been restored from former times. You can see in the pictures how some of the buildings may have looked before restoration. Becoming a UNESCO World Heritage Site brought money into the city and they’ve done a beautiful job of restoring many buildings to their former glory. This is a brief look at the historical highlights of Kutná Hora. It’s a charming city, easily reached by bus or train from Prague. I highly recommend you visit this beautiful place—you won’t be disappointed. In the next post, I’ll share some pictures and details of three famous landmarks in Kutná Hora, including the Kostnice (Bone Church). We were just there this summer when we were visiting Jiri's brother and his family! Unfortunately all we had time to see was the bone church. Next time we might see more of the smaller cities, I have my heart set on Cesky Krumlov. This time we were mostly in Brno. Kutná Hora must have been pretty in the summer! We saw it with the leaves turning and it was quite pretty. What did you think of the Bone Church? It was an interesting experience for me--I'll share more of that in the next post. 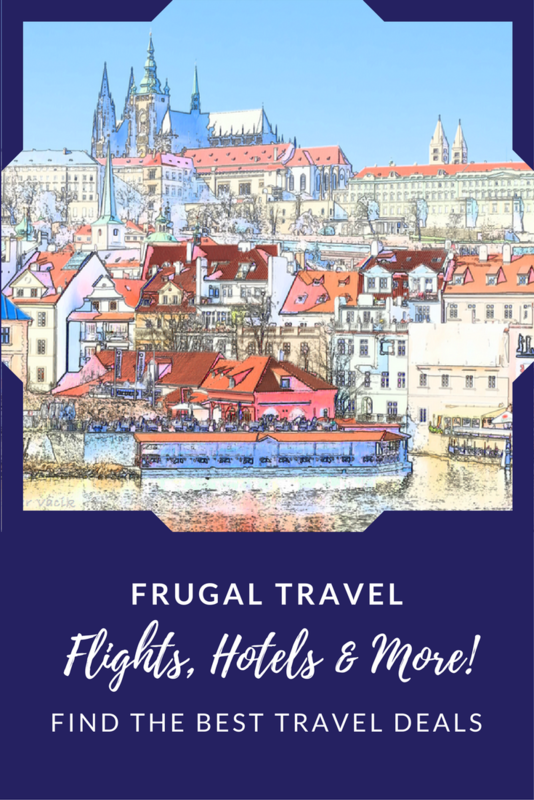 I hope you get to visit cities like Cesky Krumlov--they are also beautiful! The region around Brno is also quite nice! Thank you Sher, for this potted history of Kutná Hora, a place I've been to three times & always enjoy visiting. It is hard to believe that at one point in history, Kutná Hora was virtually the same size as Prague, when today its population is 21,000 whilst Prague has 1.3 million inhabitants! I look forward to reading the promised second installment. Thanks for your comment, Ricky! It's finally been approved :) Sorry it took so long--it's been so busy over here! Yes--it was actually the same size as Prague--amazing! The city was not only a rival in population and wealth, but also in culture, architecture and more. The second installment is in the works! Kutná Hora sounds like a very interesting place to visit. I enjoyed visiting medieval towns in Germany and the story of the silver rush reminded me of the story of the gold rush in Ballarat, Australia, where lots of people from different corners of the world turned up to try their luck and chaos ensued! Wishing you and your family a wonderful Christmas and a very happy 2016! Thanks so much for your Christmas and New Year's wishes! I hope you and your family had a wonderful Christmas and wish you all the best in the New Year! Kutná Hora is a beautiful and interesting place--more to come on that! Wow--the gold rush of Ballarat, Australia sounds like it must have been an experience back in the day! People tend to try anything when there's "free" gold available for the picking/working!